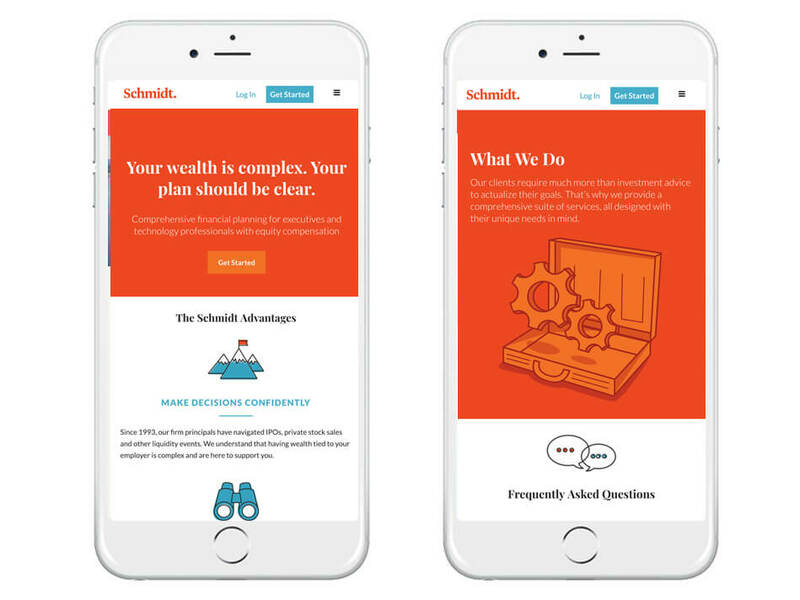 Schmidt Financial has a clear target market— tech employees with newly acquired wealth. Their clientele tend to be young, smart, and busy. 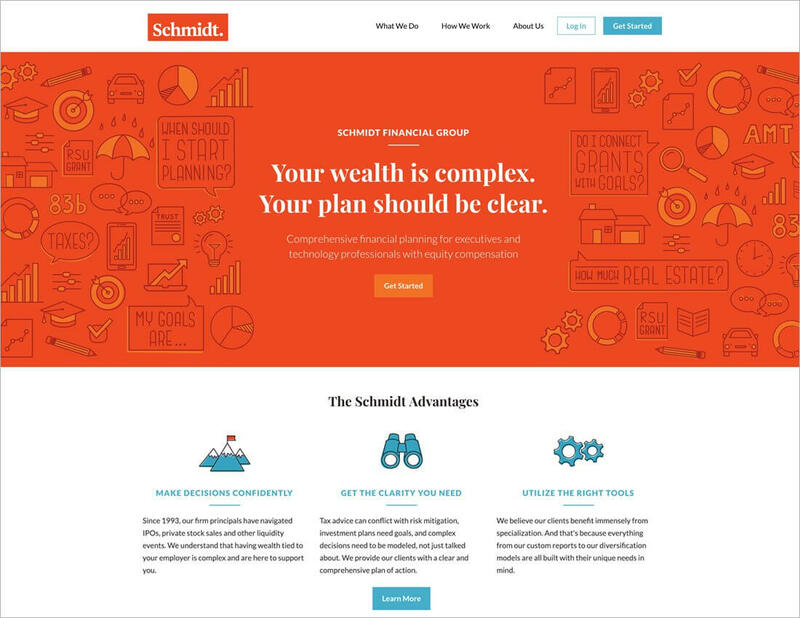 We used a bold, limited color palette and a fun illustration style to create a website that clearly and quickly outlines how Schmidt can help their clients make their money last.